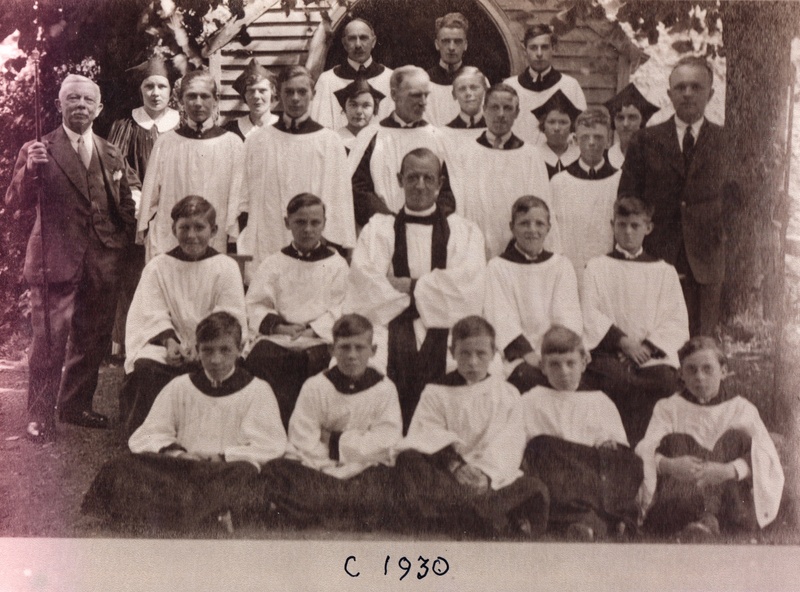 The two photos below show the choir from St James The Less Church around 1920 and 1930. Can you help with any of the missing names or correct any errors? 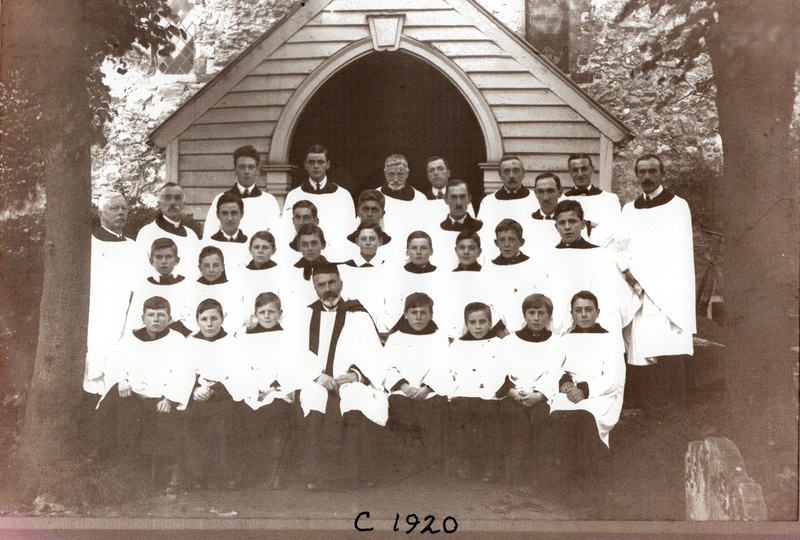 Front row (L to R): ?, ?, ?, Rev. Douglas Adamson, ?, Frank Nichols, ?, ? 2nd row: ?, Alfred Nichols, ?, ?, ?, ?, ?, ?, ?